As the floodgates have certainly opened in positive ways over recent weeks in terms of women feeling more empowered and secure in speaking publicly about the men—often those in positions of power—who have sexually assaulted or harassed them over the years, the wave of revelations have also brought re-newed focus on the previous and numerous accusations levied against the nation’s most powerful man: President Donald J. Trump. While an infamous recording released during last year’s campaign in which Trump openly talked about how he used his wealth and fame to prey on women, the shifting national conversation about sexual misconduct—and the “hypocritical” way in which Trump injected himself into that conversation this week—has led many to argue that the numerous women who have already publicly accused Trump of sexual assault or harassment should be given further and renewed hearing. During the full segment in which the montage appeared, Hayes slammed comments made Friday by White House press secretary Sarah Huckabee Sanders who argued that Trump’s past behavior—unlike that of Sen. Al Franken’s, who Trump criticized this week as “really bad”—is not an issue because the president never admitted guilt and has always denied the allegations made against him. That stance, argued Hayes, doesn’t hold water given what Trump was heard openly admitting in the infamous Access Hollywood tape that emerged during the campaign. 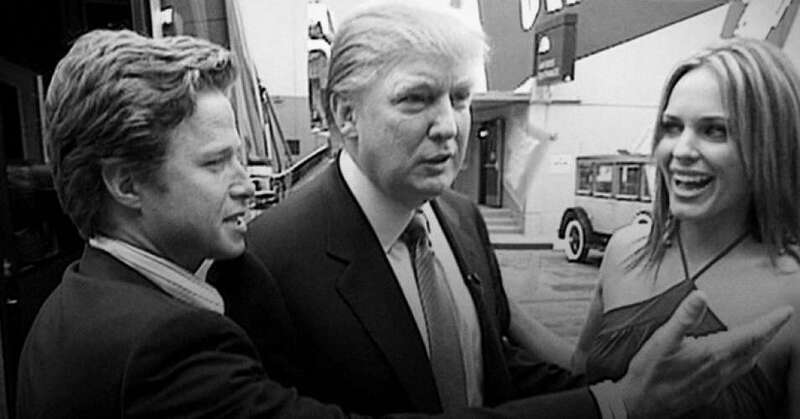 Journalist Gideon Lichfield, writing for Quartz on Saturday, says there’s “one man in America who continues to be ‘safe’ from sexual harassment allegations.” And that man is Trump. Nobody can deny the ground has shifted in America. Formerly invincible men are tumbling one by one as victims come out with their stories of sexual assault. Some, like Harvey Weinstein, were already fading from power, but others, like Louis CK, were still at the height of it. This entry was posted in Civil Rights, Corruption, Elections, Government, Human Rights, Media Issues, Social Justice, Solidarity, Women's Issues, Workers' Issues and tagged Access Hollywood, Al Franken, Atrocities, Civil Rights, Corruption, Donald Trump, Elections, Equality, Human rights, Mitch McConnell, Roy Moore, sexual assault, sexual harassment, social justice, Solidarity, Women's Issues, Worker's Rights, workers' issues on November 19, 2017 by MNgranny.